In this week’s edition of our 3D printing news digest, Sliced asks and answers the following questions: How can 3D printers strengthen the U.S Department of Defense? 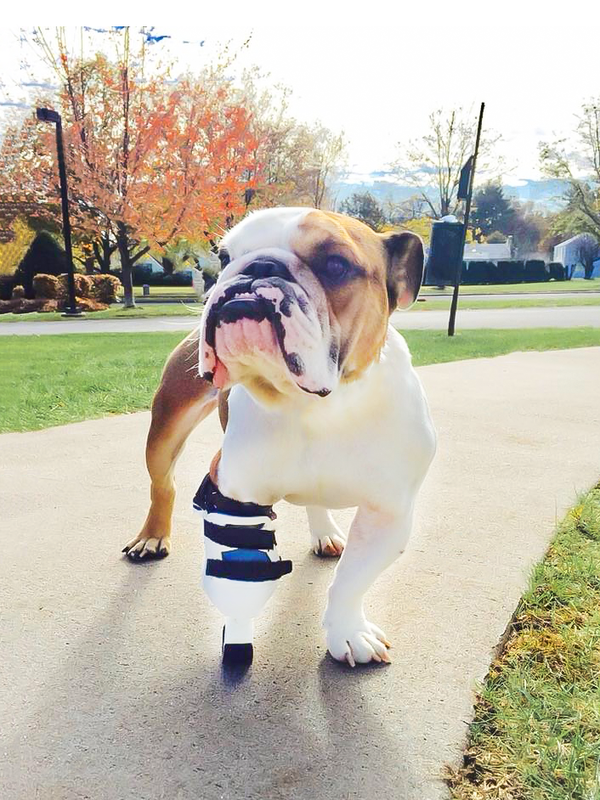 Can 3D prosthetics rehabilitate man’s best friend? Will 3D printed models help dissolve political tensions? All this and more from the likes of Nano Dimension, GE Additive, Rize, RAMLAB, Huisman and Advanced Solutions Life. 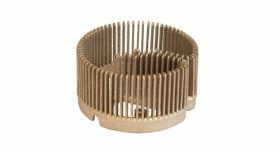 Rolf Lenk Werkzeug- und Maschinenbau GmbH (Rolf Lenk GmbH), a German manufacturer of industrial tools and machinery, has partnered with fellow German company GEFERTEC, a developer of innovative 3D metal printing methods, to expand its services within metal additive manufacturing. 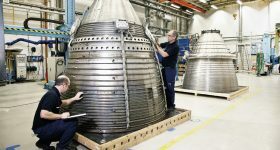 Rolf Lenk GmbH will use GEFERTEC’s industrial 3D metal printers, the GTarc series, as well as its 3DMP technology to reach customers from medical and plant engineering to the automotive industry and maritime construction. 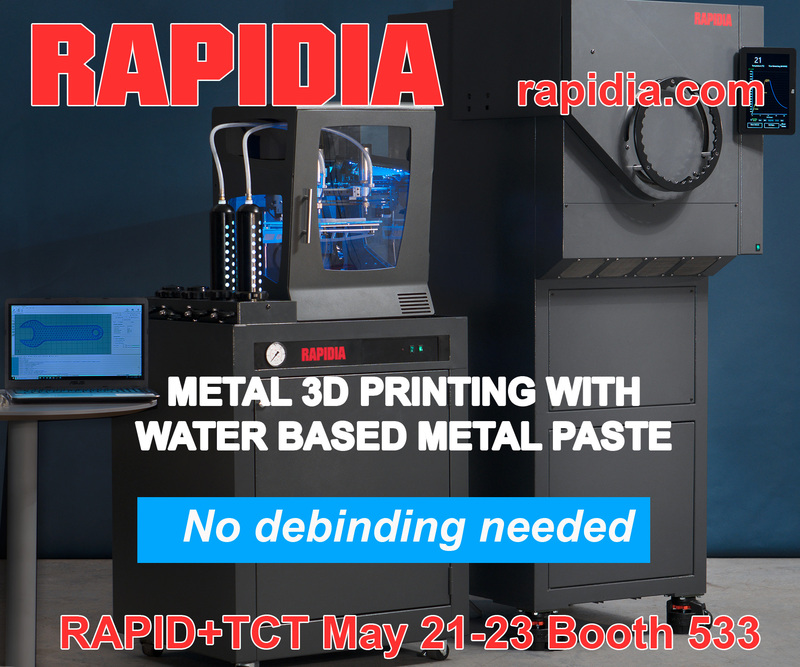 The closing of the contract between the two companies was announced at the Rapid.Tech show in Erfurt, Germany earlier this month. Celebrating the closed contract at Rapid.Tech: Marcus Ortloff Sales Manager, GEFERTEC (left), Gregor Sodeikat, Managing Director, Rolf Lenk and Tobias Röhrich, Managing Director, GEFERTEC. 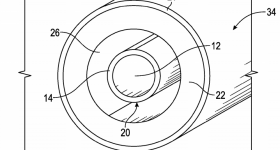 The propelling screw has been manufactured by means of the 3DMP-method. Photo via GEFERTEC. 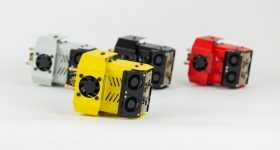 Leading 3D printed electronics provider Nano Dimension, has recently sold its DragonFly 2020 Pro Printer to a global top ten U.S-based defense company, making it the second purchase of a Nano Dimension 3D printed electronic system from this particular customer. Following this announcement, Nano Dimension’s U.S subsidiary has also achieved United States Government Certified Vendor status having received a Commercial and Government Entity (CAGE) Code from the United States Department of Defense’s Defense Logistics Agency. 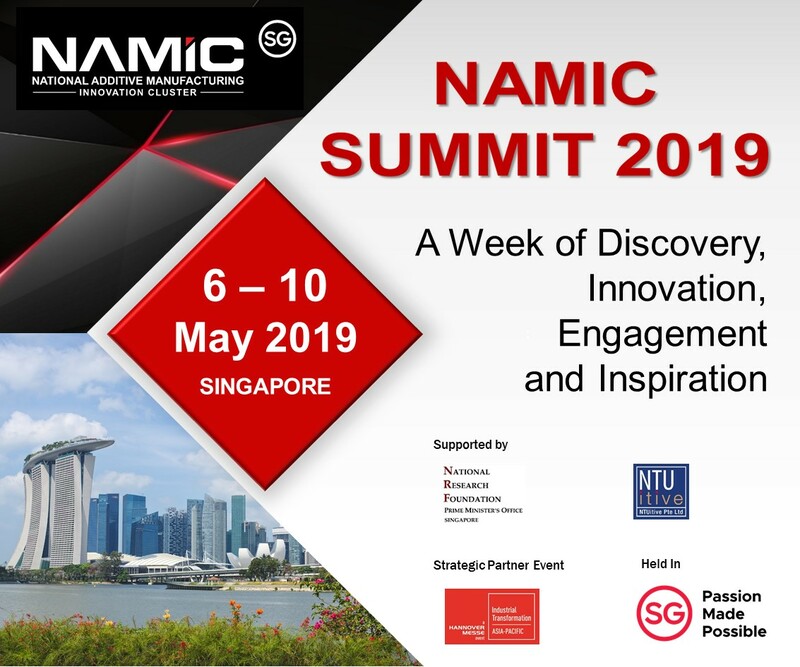 “We also are pleased to expand our relationship with our existing customers and open the door to more and more companies who will embrace our 3D printed electronics technology, materials, and software, so they can benefit from significant time and cost savings over traditional prototyping processes, to meet rapidly changing demands from defense contractors,” said Amit Dror, CEO of Nano Dimension. Concurrent Technologies Corporation (CTC), a nonprofit applied scientific R&D organization, that recently received a $2.6 million contract from the U.S Office of Naval Research (ONR), has been granted two more contracts from Northeastern University worth a total of $1 million. 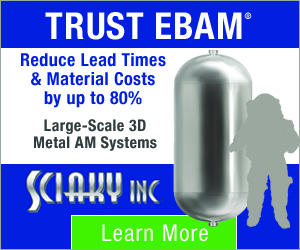 These contracts aim to support the U.S Army Research Laboratory through the advancement of additive manufacturing technologies. 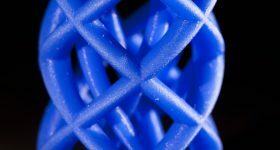 At Delft University of Technology (TU Delft), researchers have developed a Multi-Axis Robotic 3D printing system that allows support-free volume printing. Ivaldi Group, a California-based company focusing on advanced manufacturing solutions in industrial locations, has announced Nora Toure as Vice President of Strategy. Toure is also the Founder of Women in 3D Printing and was formerly the Business Development Director at Sculpteo, a leading digital manufacturing specialist based in Paris and San Francisco. NanoGrande, a company offering additive manufacturing with molecular scale definition, has moved its facilities to a new location in Montreal, Canada. Similarly, Advanced Solutions, an integrated software solutions company, and its subsidiary Advanced Solutions Life Sciences (ASLS), a 3D bioprinting company, has opened a new facility in Manchester, New Hampshire that will serve as a laboratory for biofabrication. 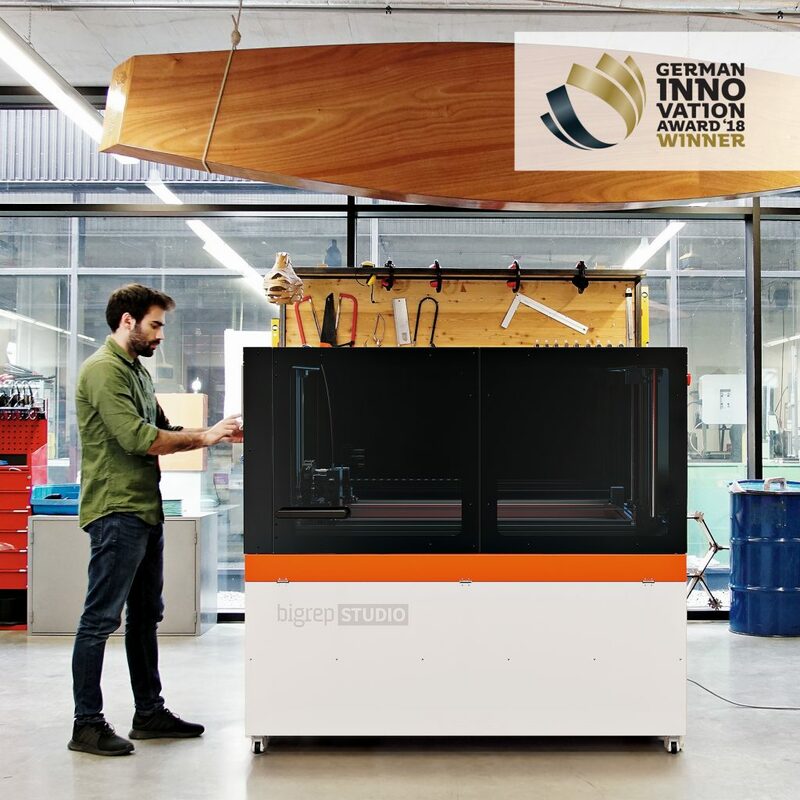 Large-scale industrial additive manufacturing 3D printer provider, BigRep won an award for its BigRep STUDIO 3D printer at the German Innovation Award 2018. Pawsthetics, a Colorado-based animal prosthetics nonprofit organization, has teamed up with 3D printing materials and tools suppliers MatterHackers to design, fabricate and fit disabled animals with prosthetics to improve their standard of living. Using traditional prosthetic practices and 3D printing to create mobility devices, Pawsthetics has been able to help dogs, cats, and reptiles that have experienced amputations due to significant damage or birth defects. Walter the dog wearing his 3D printed prosthetic mobility device. Photo via MatterHackers. 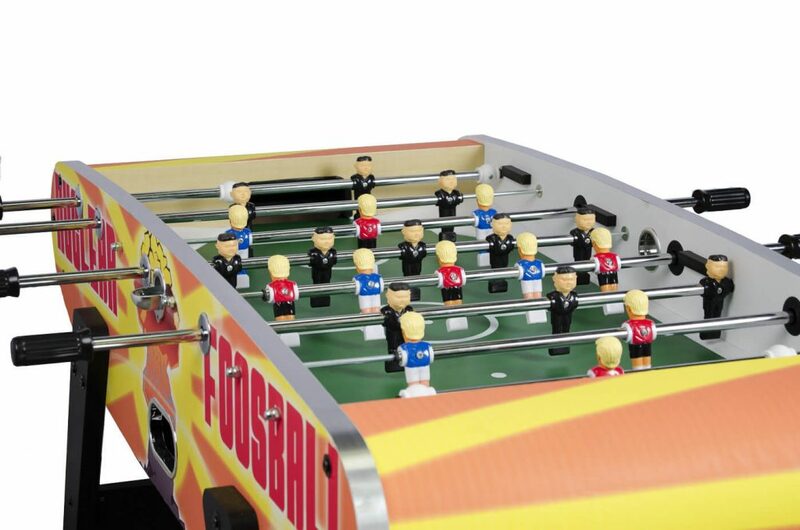 With the approaching meeting of controversial politicians U.S President Donald Trump and North Korean Leader, Kim Jong Un later this month Liberty Games, an amusement supply company, has collaborated with model design company Creative Awards, to create a politically themed football table using 3D printed parts. Liberty Games printed eleven Donald Trump and Kim Jong Un heads using a pair of CAD templates and modified, scaled, modeled and then fitted the heads onto the plastic players of an existing football table. IKEA and UNYQ, San Francisco-based prosthetic company, are developing an ergonomic chair that will allow professional gamers to sit comfortably for long periods of time. 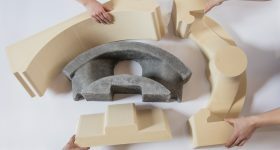 This chair, dubbed the UBIK, will use 3D printing and body-scanning technology designed for medical wearables to create customised 3D printed lattice inserts to prop up each sitter in the ideal posture. 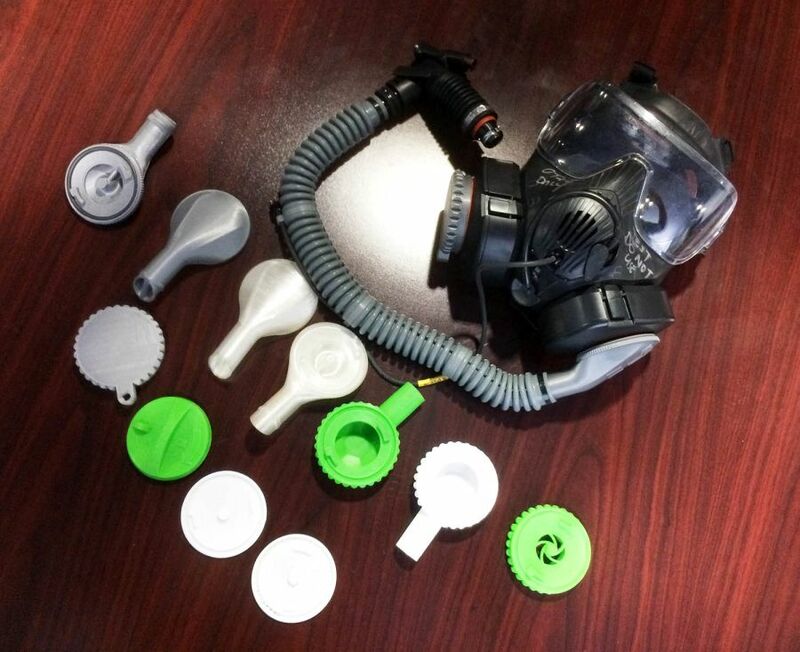 Airmen located at the United States Air Force Yokota Air Base, Japan, used a 3D printer to modify standard-issue gas masks into an aircraft oxygen system, potentially saving the air force millions of dollars while improving aircrew safety. The modification is called “AERPS Ultra” and uses a cap to block airflow while an adaptor to attaches to a hose that can be plugged into an oxygen system. 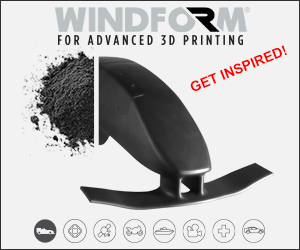 “We took the mask and added some off-the-shelf parts and some 3D-printed parts and converted it into a piece of equipment that can work in an aircraft,” said Senior Master Sgt. David Siemiet, an aircrew flight equipment superintendent. M-50 gas mask with 3D printed modifications. Photo via Stars and Stripes. 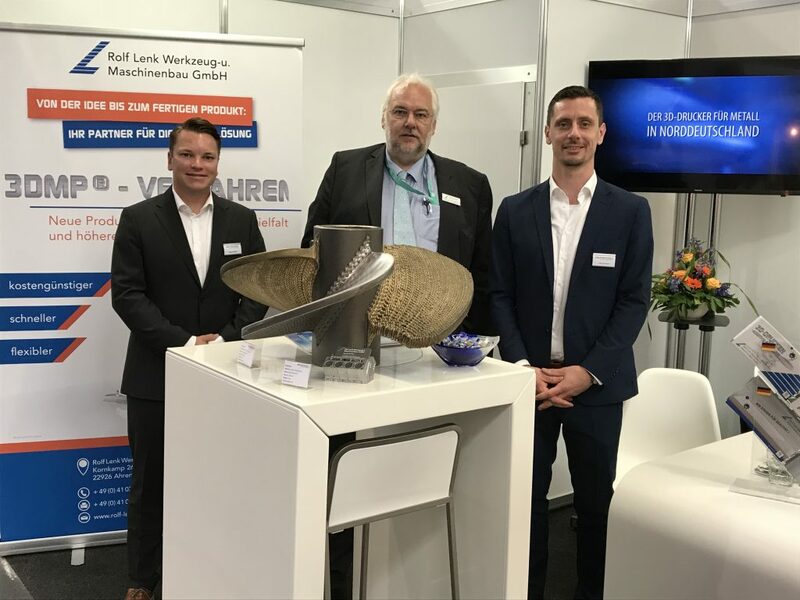 Following the first successful load test of a 3D printed crane hook, Huisman, a global provider and manufacturer of heavy construction equipment, and additive manufacturing lab, RAMLAB, have initiated a consortium to produce the world’s heaviest 3D printed steel crane hook. The consortium includes partners such as, Autodesk, DNV GL, Bureau Veritas, ABS and Voestalpine Böhler Welding. 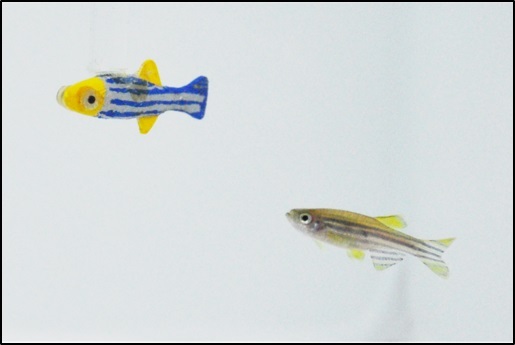 Researchers at New York University Tandon School of Engineering have created a bionic zebrafish using 3D printing materials to aid in research into fish behaviour and potentially steer schools of real fish away from hazardous areas. “The morphology of the robots is very important in our research. We often 3D print replica models using ABS plastic. 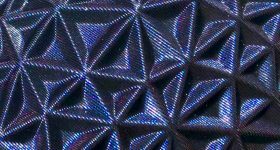 When we try to mimic size and texture, we also use silicone molds,” said Roni Barak Ventura, Research Assistant at the Dynamical Systems Laboratory, in New York. 3D printed robotic fish in a tank with a real fish. Photo via Design News. The non-profit global youth organization FIRST’s (For Inspiration and Recognition of Science and Technology) Robotics Competition used 3D printing to create robots. Using the One 3D printer from Boston-based 3D printer manufacturers Rize, enabled high school students to design and build robots to perform tasks against a field of competitors. 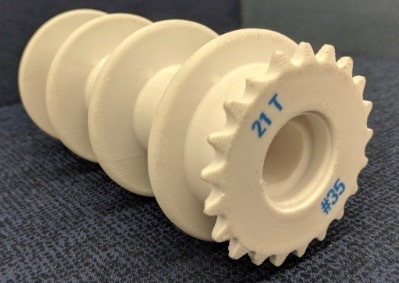 Teams within the competition designed and 3D printed a functional pulley with an integrated sprocket to minimize the number of parts for assembly on their robot. 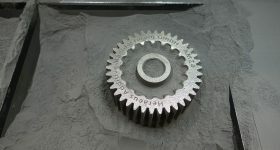 3D printed sprocket. Photo via Rize. The GE Additive Education Program (AEP) 2018 has awarded a polymer 3D printing package to over 600 primary and secondary schools in 30 countries. Each package contains hardware, software to advance the STEAM (Science, Technology, Engineering, Art and Mathematics) curriculum and will be delivered to schools in September. 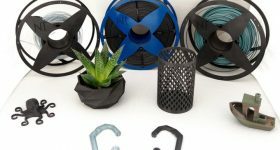 And finally, a blogger under the name Feldi, from SparkFun Electronics,has recently experimented with 3D printing on nylon fabric to make a customised bracelet. 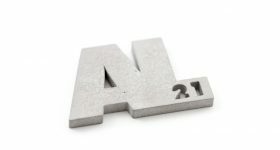 Subscribe to the 3D Printing Industry newsletter, follow us on Twitter and like us on Facebook to stay up to date with the additive world. Featured image shows Sliced logo over Liberty Games’ 3D printed models of Donald Trump and Kim Jong Un. Image via Liberty Games.